I am a child of Columbine, raised in the crucible of pre- and post-paranoia Jefferson County School District in Colorado. My first memory of public consciousness came from a school shooting, one barely down the highway from my own home, so my sentiments have long been decided on the matter of the dangerous nature of guns. Gun violence is as harmful to our society as cancer and is part of a massive public health crisis. Talking about the massive number of gun deaths in any other fashion is immoral, counterfactual and counterproductive. Between the Navy Yard shooting last month and the shooting at Sparks Middle School in Nevada last week, the violence continues. To help stop these killings, we need to tackle the complex problem, one that academic research can help solve. The answer could one day be on 24th Street and Pennsylvania Avenue. With its expansion into a new $75 million building, the public health school is pulling in more research grants and planning up to 40 faculty hires in the coming years. Now is a better time than ever for GW to invest in this pressing public issue. The foundation has already been laid. In January, President Barack Obama issued an executive order lifting the 17-year ban on gun violence research. Now, the Centers for Disease Control and Prevention and academic institutions should get in on the action. GW’s efforts are admirable. But all of this is inadequate when viewed against the example of Johns Hopkins’ gun policy center, which makes a concerted effort to influence public policy and rhetoric on the matter. By publishing a spate of reports, offering discipline-specific courses for students and holding public seminars for educators and medical officials, the center represents a revolutionary and much-needed effort to place gun violence firmly in the category of public health dangers. The center combines many different forms of academic research and spans across multiple disciplines. Some professors examine gun control policy options to reduce gun deaths, while others evaluate the effectiveness of gun laws already on the books. Other areas of research are more psychological, taking a deep look into “behaviors related to gun access and carrying among youth,” according to the center’s website. Provost Steven Lerman told The Hatchet last week that one of the reasons the School of Public Health is growing at a faster rate than other schools is because of how essential the field is. If that’s truly the case, the school would be wrong not to address the eminent public health dilemma of gun violence. And as the school searches for new full-time professors to hire, special preference should be given to those who have expertise in the intersection between mental health and gun violence. The number of gun deaths is sickening in its scope, and certainly justifies the creation of this type of program at GW. Here are the raw facts: Of the 11 deadliest shootings in this country’s history, six of them, including the Newtown shooting, happened in 2007 or afterward, according to a Dec. 14 Washington Post article. And a University of Sydney review shows that of all deaths in the United States in 2011, there were 11,160 homicides, 19,350 suicides and 930 accidental deaths, adding up to a total of 31,390 gun deaths. As cancer continues to kill, we raise a public health awareness campaign, fund research for mitigation and try everything in our power to curb the cancer. That’s why prostate cancer – slated to kill 29,270 Americans this year according to data from the American Cancer Society – takes fewer lives than guns. We’ve taken steps to solve the problem. So if more people die from guns than some cancers, why aren’t guns discussed under a logical public health framework as well? Now, it’s time for researchers and public health leaders at GW to step up. 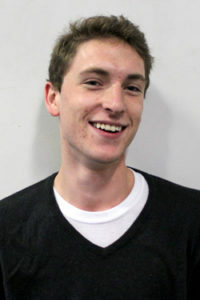 Trevor Marsden, a senior majoring in philosophy, is a Hatchet columnist.